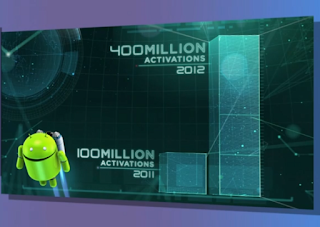 Google I/O 2013: Android stats! We all know Android is the world's most popular smart phone operating platform, in the UK for example the platform has a whopping 74% market share, but yesterday at Google I/O the guys revealed just how popular the platform was around the world. Some of the stats, such as the one to the right show just how fast the platform is growing. There has gone from 100 million devices in 2011, right through to 900 million right now and the guys fully expect to hit one billion activations before the year is out! There were also some cool numbers about the amount of apps which have been installed so far. The current total stands at 48 billion, which is impressive enough on its own, but apparently Android users are starting to spend a bit more money on their apps lately too. Google reported that in the past four months they've paid out more money to developers then they did in the whole of last year! That't not all as apparently revenue per user is now two and a half times higher than it was at the same point in time last year! This is great news for developers, but it's stories like this which show that developers still aren't getting rewarded for their hard work, which is such a shame, but hopefully there will be more ways to combat piracy on the way! There was one thing which Google were keen to point out and that is best represented by the image below. 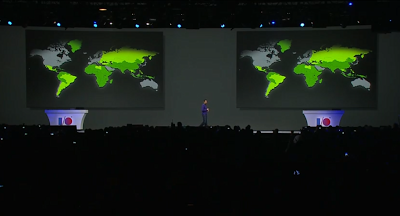 At the moment Android has less than 10% penetration in all of the areas which are highlighted in green on the map below! This means that there are about 4.5 billion people left for the platform to target and apparently this will be a huge target area for Google going forward! Let us know what you think the best way for Google to target these areas is in the comments below!